A recent walk through a local farmers market lit a bulb in my head for something I’ve been wanting to make for a while but just never really get around to it. For those of you who do not know, pasta carbonara is literally bacon, egg, and cheese pasta. In fact, these are the main four ingredients, and the fifth is black pepper. Lets get proportions out of the way first. 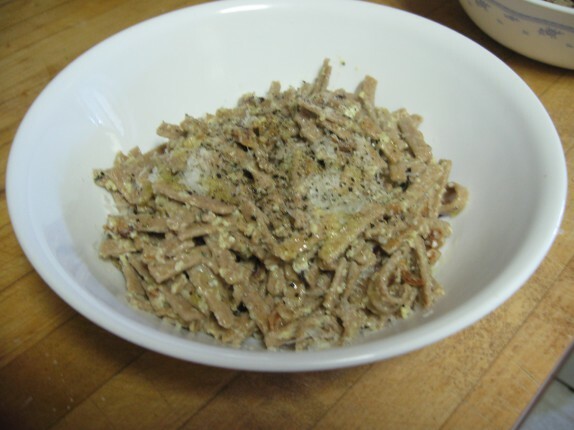 For each serving, you’ll need 1/4 lb of dried (or fresh) pasta (really any kind or cut you want), 3-4 slices of bacon (or better yet, pancetta, or even better yet, guanciale, but use what you have), one large egg, 1/2 cup of pecorino romano cheese (or any sheeps milk cheese that you like), and 1/2 tsp of black pepper (If you don’t like that much pepper, back off on it, but I can assure you that it’s intentionally supposed to be too much.). Additionally, every kitchen should be equipped with a tub of kosher salt and bottle of nice olive oil. 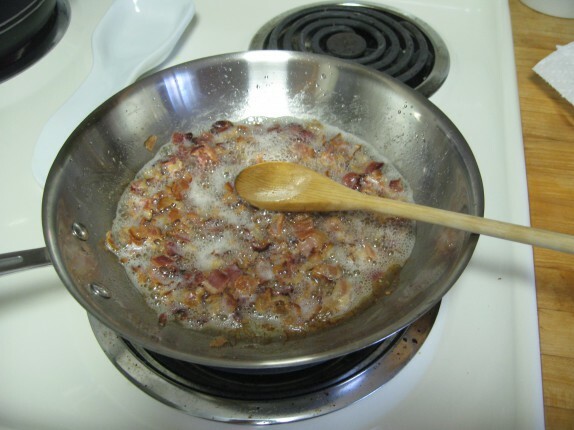 Remove the bacon pieces from the oil onto a plate with some paper towel and drain the oil into a container. When you’re ready to assemble the dish, have a pot of copiously salted, boiling water ready and cook your pasta to just under aldente. 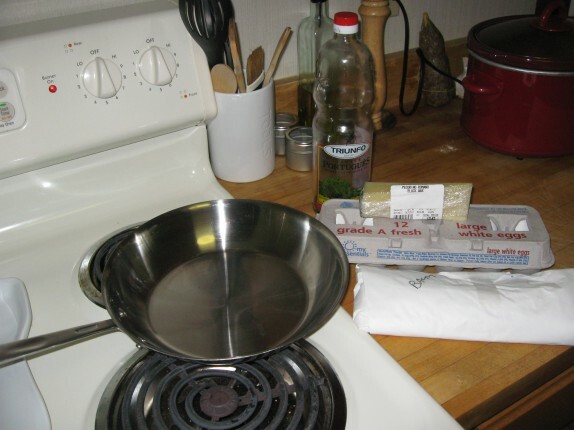 Place the same pan you used to cook the bacon back onto the burner now set to low-medium heat. Transfer (approimately) 1/2 tbsp of olive oil and 1/2 tbsp of bacon fat back to the pan. Add the cooked pasta to the pan and don’t worry if you get a little water in there (it’s going to help thicken the “sauce.”). Toss the pasta in the oils and add the egg/cheese/pepper mixture and bacon pieces. 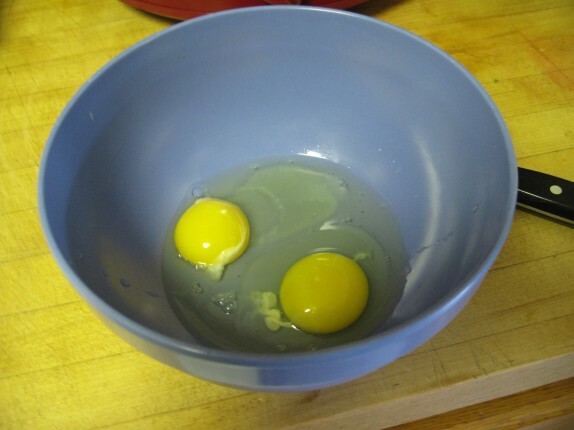 At this point, remove from the heat and continue tossing for 20-30 seconds; you don’t want to fully scramble the egg. Taste it. 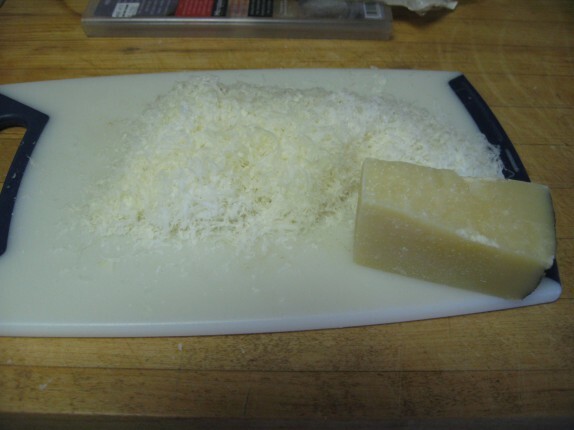 Adjust the seasoning, then plate your pasta and garnish with the remainder of the cheese. 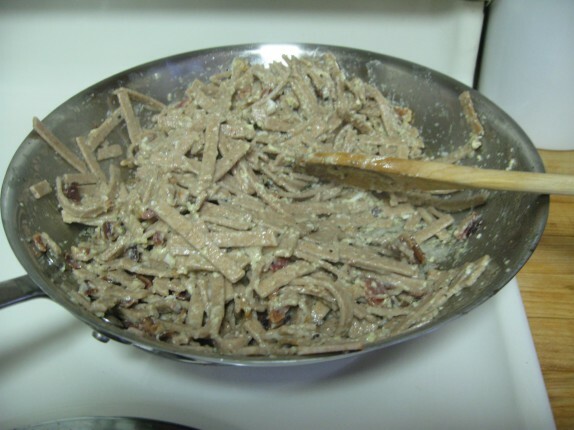 The farro fettuccine has a firm, brittle texture and very strong wheat flavor, almost like buckwheat; I actually think that it stands up well against the smoked bacon and the cheese. The pepper adds a flavorful bite to the dish, especially if you use fresh cracked stuff (which you always should). Fettuccine may not have been the best cut of pasta for this dish, but I really wanted to try the farro pasta against something bold. This came out very good. The beauty of carbonara is that you can assemble this dish in the time it takes to cook most pasta. And with five ingredients, it couldn’t be simpler. While making this dish, it was brought to my attention (by Cassie) that there are versions of this recipe circulating around the world that include cream. Investigation into this has led me to find that people as famous as Giada di Laurentis and Nigella Lawson are spreading this around. Look, I’m not the guy to tell you not to do something you want to do, but there’s no cream in traditional carbonara. I’m sure it’s very good with cream (how could it not be? ), but I prefer to not let my carbonara mix with my alfredo. Oof. I don’t even know where to start. You know the recipe calls for guanciale, and yet you substitute bacon. It’s not that you aren’t a purist, as you decry the use of cream in the recipe. Guanciale is available locally, you know. Pasta has different shapes and lengths for a reason. 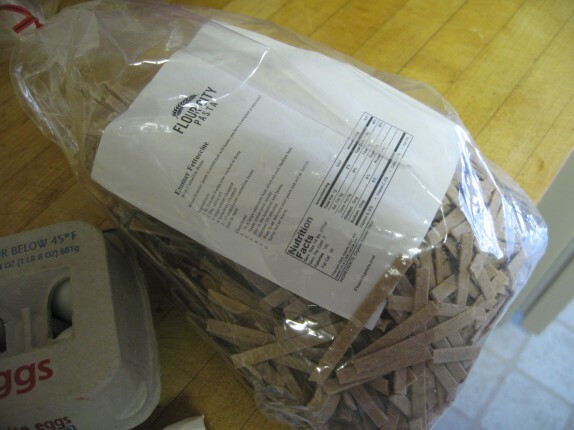 There is a different between fresh pasta and dried pasta. Some sauces work better with fresh, others better with dried. Carbonara isn’t a generic pasta dish, it’s a spaghetti dish. This isn’t an arguable point. It is what it is. Maybe I need to write up more on this topic next week. Because I’m sure you aren’t the only one who plays it free and loose with pasta. Ok, it just made my list. More to come. All points addressed above. Except maybe the shape, but the farm stand didn’t have spaghetti made with farro. I made pasta carbonara earlier this week. I was out of spaghetti and used whole-wheat linguine instead. I didn’t know where to find guanciale, and the price of pancetta at Hannaford was prohibitive. I bought very lean, thick-cut bacon and it worked pretty well. Since S-Man has a large appetite and I wanted to have leftovers, I used a pound of bacon and a pound of linguine and quadrupled everything else. As I did have some heavy cream leftover from some other recipes, I added about 1/4 cup to the eggs so that the pasta would not be too dry when reheated for leftovers. 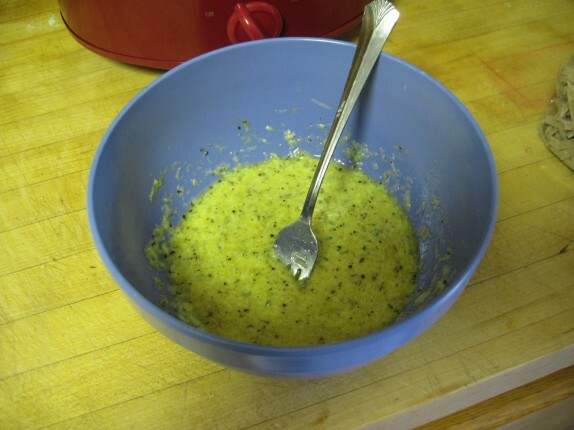 Also, before adding the egg-cheese-cream mixture to the pasta, I added a scant ladle-ful to it to temper the eggs and keep them from scrambling. It was a hit and it reheated fairly well. This is a great meal for me to make when I arrive home from work; not a lot of prep time. I don’t want to sound like a one note Johnny or a shill for my favorite purveyors of fine foods… but, you can get guanciale at Adventure in Food Trading. Currently I’ve got too much good pork at home, so I haven’t priced it out, but you can always give them a call and ask. Okay. I just got back from AIFT and it’s $10/pound in approximately 1 pound packs. They come from happy pigs, and look delicious. Daniel B., that was so nice of you to check that out for me. I didn’t see your post on 11/21 or I would have responded sooner. I will check it out. Thanks so much! You are welcome, but I was just as curious for my own edification. It was hard to walk away from it today. Sadly my wife will never truly appreciate the willpower that took (mostly since I came home with duck prosciutto, XV olive oil, Italian honey, happy salami, and duck sausages with foie gras).